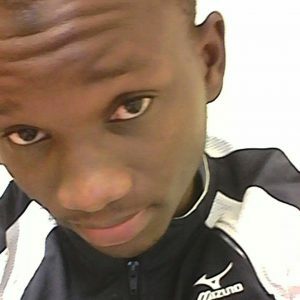 Dear Omar Jabang, Please be reminded that at the age of 24, you became The Gambia’s youngest principal magistrate in history. Your appointment as acting principal magistrate at the Banjul Magistrates’ Court was seen by many as a major victory for youth empowerment. Born in Pirang, Kombo East, you were also a top notch student graduating with first class honors from the Law School of the University of The Gambia.Unlike many young Gambians in the legal system, you were born in a poor family and did all your studies in the country. You also attended Nusrat Senior Secondary School, where you were also recognized as a sharp minded person. It is in that note I write to register my total satisfaction as per your article above, what a great piece that inspires many. Thanks once again for whispering in the ear of the wise ones. I believe that knowledge is not what you cram, it have to do with the power of the mind in reminding facts after the abiding element disappears. Please be reminded that we live in a continent where young intellectuals are not motivated I will advised you to keep on dreaming and be focused. 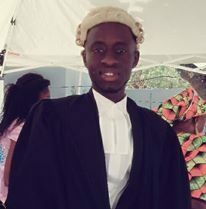 You should be proud of you self-Brother, as you acquire your LLB with distinction and also emerges as the valedictorian at an early age compare to them. I remember when I once wrote a piece on Facebook my good lecturer the splendor Mr.Morro Krubally who read my write-up and realised that it is not meant for public viewing. A good lecturer he is, he inbox me privately advising me as per the write-up, as that is what is expected from a lecturer. Kudos to Mr. Krubally we the University of The Gambia students are proud of you for always sowing the image of a good lecturer. Long live!! We live in a planet where people give themselves long unjustifiable titles and degrees. I kindly advised them to upload their PHd’s thesis for the young ones like me who are eager to learn know something from it as they claimed to be intellectuals? Jabang, life is a ladder in which you need to climb before arriving the destination of success as such you will face challenges, hardship and difficulties. Let no obstacle disrupt you on your route to success as some will serve as de-motivational factor towards on your journey to success. Say to yourself that you are unstoppable and nothing can stop you from achieving you dreams. May thunder and lightning strike on all de-motivators!! I dream of the Gambia where one day Lecturers would serve as a motivational factor to their students both in campus and outside! !